Whoa! I can’t believe December is already here! Whether or not you’re ready for it, it’s here. Aarghh! How did that happen? Hard truth. Gulp! But let me just go back and think about how my November went by. For starters, I began this month by enrolling my food blog for the Daily Challenge – NaBloPoMo. Well, you can imagine how that would’ve gone. I posted for 17 days without any much trouble and then I stopped. Just like that. May be I needed a break. I needed time to go out and smell some fresh air. To spend more time with my husband who by then had completed his examinations. So, I wasn’t feeling guilty as to not able to complete the challenge. I am still posting though. But I decided not to back date any. I am overwhelmed by the love shown to my blogs over time and I am trying to reciprocate the same love to y’all by visiting your spaces. Demonetization was a shock alright. Especially since I had some savings in the form of few 1000’s and 500’s which my husband was never aware of. Well, well. 🙂 I understand the hardships demonetization has brought by but I am also grateful that I live in a place where I can get by with minimal cash. There was hardly any traveling too, so all was almost well. It was great to know how happy the chaiwalas and shopkeepers were. They said that though it was initially difficult, they were happy with this massive decision that the government had taken. P and I spent some time in the bank helping the people in filling up the forms for depositing and withdrawing money. Let’s hope things get back to normalcy soon. I made some good friends here in the Cantonment. We meet every other day and its so much fun to have girlfriends. We discuss about anything under the sun and the current topic revolves around winter shopping. This is my first winter in North India and yes, it was pretty bad to begin with. But somehow I haven’t gotten sick (yet!) and I am loving the climate. Winter has brought fresh vegetables in the market and I feel so glad to use them in my daily cooking. We’ve also started growing some in our lawn and I hope it comes out good. A couple of months ago, I received a Bamboo plant as a gift. But whenever I got it, I’ve always seen it rotten away. Whatever I did, I could never save the plant. Except now! My plant is growing well and every time I look at it, I feel content. I won the ‘Who’s your Jug?’ activity conducted by Blogadda and I received couple movie tickets for the movie #DearZindagi. The movie took me by surprise. There were no twists and melodrama. It was something I could relate to. Of course, as the movie was about to end, I could see my husband yawn and I agree that the movie could’ve been cut short by at least 20-25 mins. But, it was refreshingly different. Have you watched the movie? You definitely should. The one thing I regret not doing this month is reading. I have so many books pending to read and review and I am on it now. Touch wood, I’ve many exciting things planned for December and I really hope things go as planned. I am playing Secret Santa hosted by Blog-A-Rythym and Blogchatter blogging communities. I have got two awesome Santees and I’m in the hunt for sending them some amazing gifts. I have few things lined up for my blogs and personal front too. Psst…more on that next month. 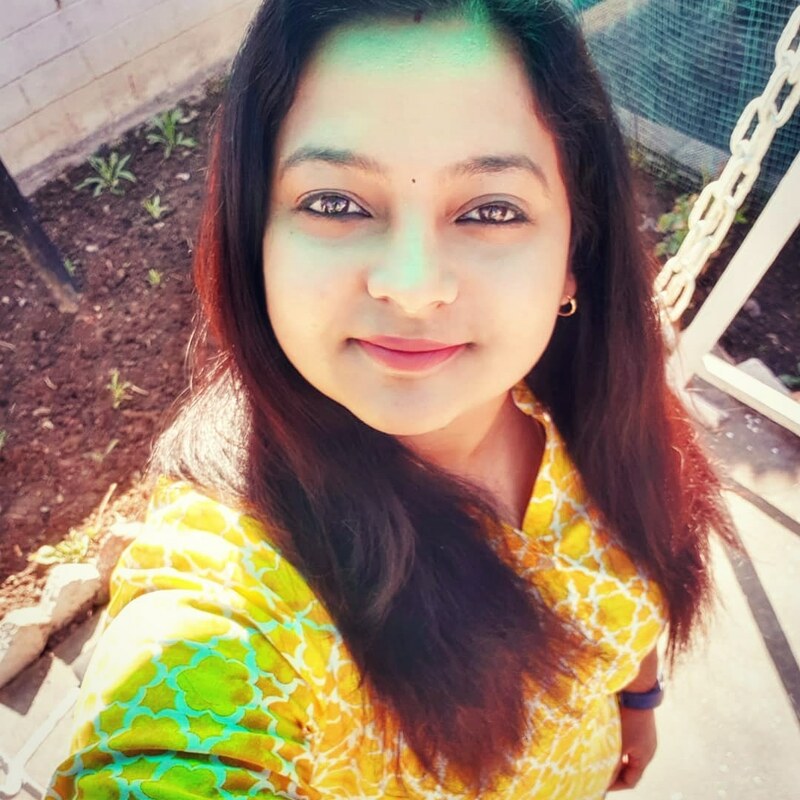 P.S: WordPress says this is my 500th post 🙂 That’s a huge things for me and I am so grateful to the blogging communities Write Tribe, Blog-A-Rhythm and Blogchatter for the never-ending support and for always being there. Thanks to my dear readers for all the encouragement. I hope to continue writing more and keep you entertained! And Sing,"I'll be there for you"
Congrats Shalini on this milestone. It has been a pleasure reading you and your recipes. Congrats on winning the Jug contest! You sure did deserve it. Wishing you a wonderful December! Kudos to you Shalzz.. 500 posts is an achievement indeed and ur are doing a fine job. Whether it is your stories here or the recipes on your food blog…. enjoy the winters. I love north Indian winters especially the food. Congratulations on 500 posts.That’s pretty big. It was wonderful doing #NaBloPoMo with you. The best part is enjoying the writing.If it takes you away from your loved ones ,that’s no fun. It seems like I have vanished from the face of the earth for I haven’t read blogs in days now. With so many things happening around, I can’t believe December came this quick. Congratulations on your 500th post! I loved Dear Zindagi too and felt the same, plus they somewhere missed the main point slightly. Anyway, I love the updates on your food blog. Have tried quite a few. I love everything about winters…Congrats Shalz for your 500th post. Its a great achievement in short span of 3 years.Really! I too got the tickets and excited to go for it as it will be our first movie as Parents; last movie we saw together in a theater was almost 3 years back. Congratulations of winning the Who’s Your Jug’ contest and 500th post!! Winter shopping.. that’s something interesting as Mumbai doesn’t give enough of winter days for such liberties. Congrats for this 500th post and a gratitude post is always the best one. I love winters in the North. Though it’s been 11 years that I have experienced one but they are fun. The fog, the smell, the warmth of woollens and all is beautiful. Stay fit and healthy. Good to know you have made a few friends. Nothing better when P is out at work 🙂 Congrats on the win and those tickets. Super cool! Can’t post comment but am sure you’ll have even more to be thankful for after December.